This is the first of a series on Iconoclasts and Iconoclastic Thinking. 2011 is the time to break all the rules! To become a market leader as a luxury real estate marketing professional, you do not have to be an iconoclast. But, to sustain market leadership in 2011 and beyond, it is a must. An iconoclast is a person who challenges conventional wisdom and traditional beliefs, and often shatters the very foundations upon which traditional, institutions rest. A company can be iconoclastic but you will most likely find a visionary, unconventional thinker at its helm. Cirque du Soleil, the iconoclastic Canadian company, challenged one of the great American icons, Ringling Brothers Barnum and Bailey’s three ring circus. 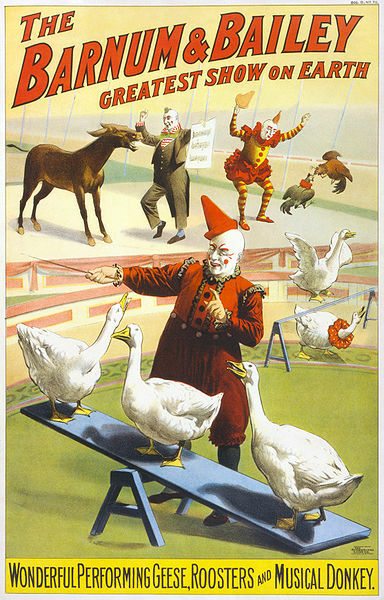 The founders of “Cirque” did away with the expensive animal acts, musicians, the highly paid circus stars, such as the trapeze artists and created an entertainment venue to which you did not necessarily have to invite children. In the process, they created a multi-billion dollar industry that dominates the world of entertainment in Las Vegas. Essentially, Cirque identified an uncontested market niche that they could “own” and delivered extraordinary added value. That is the formula for market leadership. With multiple shows running simultaneously, not only in Vegas but, throughout the world, Cirque runs circles around its only viable competitor. They literally rendered the three ring circus, irrelevant, not to mention the notion of "the greatest show on earth". How can you explore the realm of iconoclastic thinking in your luxury real estate marketing practice? To sustain market leadership innovative thinking is no longer an option it is an imperative. In fact, it is not enough to just be an innovative thinker. You must become an innovative doer.